This article is proudly brought to you by HP OMEN. Yoan “Shadow 1k” Lingrand, the captain of Team Vitality’s PlayerUnknown’s Battlegrounds team, is confident heading into the Global Loot League Season 2 Finals this weekend with his new teammates Jonny “Jazza” McVea and Yannick “ynck” Metzger. During the second monthly episode of the HP OMEN eSports Report, Shadow1K spoke to hosts Frankie and Pala Gilroy Sen about swapping out Roman “Shiv” Hermann and Matthieu “oraxe” Ribiere, both from France, for Jazza and ynck, who come to Vitality from another constant European contender in Rogue. With the new roster, Shadow1k and Benjamin “mOnKeY” Lartigue will have to now communicate in English rather than French. Despite the language barrier, the Vitality captain is confident that they will overcome any potential communication issues, especially with the skill Jazza and ynck provide. And, at the very least, the moves broke up some issues the team was having that prevented them from winning major events. 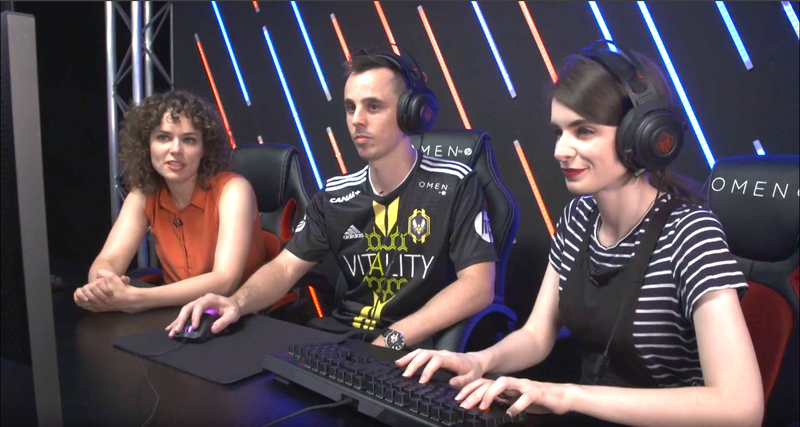 Shadow1k also had some fun on the show with Twitch streamer Ella Cronin, playing a round of PUBG while splitting keyboard and mouse duties, and gave out a few pro tips on getting better at the game. In another challenge on the show, popular YouTuber AREKKZ Gaming fell to the bottom of the show’s leaderboards in theCS:GO Headshot challenge. It’s understandable though: He has almost no experience in the game. During the show, viewers had the chance to win an OMEN kit, which included a 25” OMEN gaming monitor, a headset and a GT Omega gaming chair. If you missed out on this giveaway, don’t worry—another kit will be given away during the show’s third episode, which is set to air live at 7pm GMT / 3pm ET on Aug. 31.